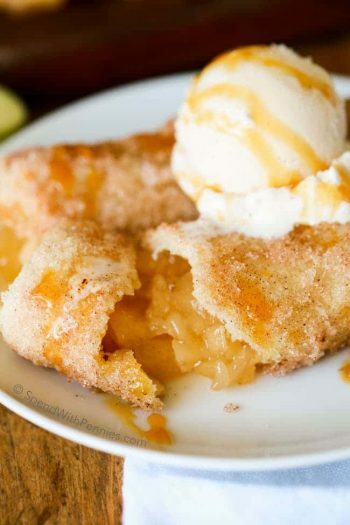 We love apple pie at my house… I mean we really love it! 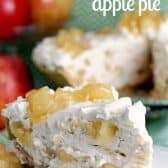 Sometimes you just don’t feel like heating up the oven… and this is the perfect no bake apple pie to satisfy the craving! 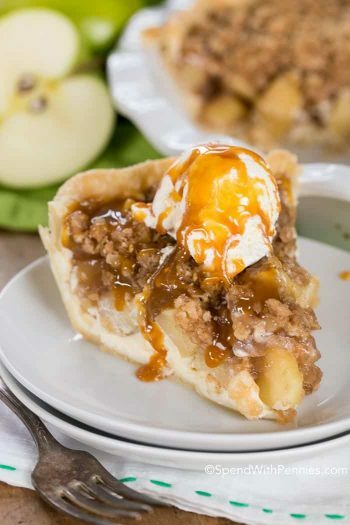 This pie has a deliciously apple-y filling that is rich and creamy yet still so light! The taste is out of this world! If you’ve never worked with unflavored gelatin, it’s super easy to use! I always use the Knox brand which comes in little packets, (each packet is enough for 2 cups of liquid and there are lots of fun things you can do with it!). 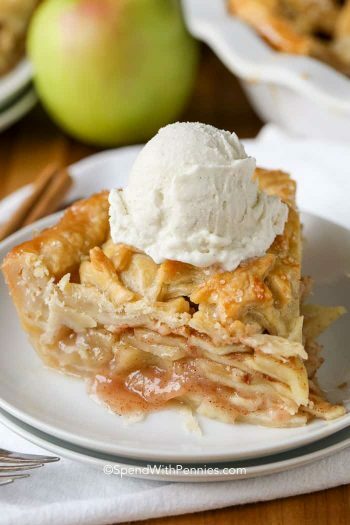 Be sure your gelatin/apple mixture is cooled before adding it to the whipped cream or your pie may be runny. This recipe looks easy and delicious,I will make it soon. Thank You + Keep them coming. I used regular pie crust. This sounds soo good to make! 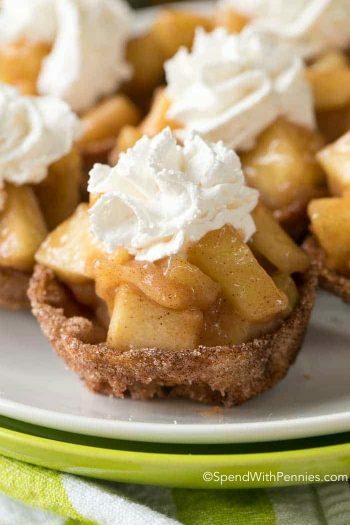 I’m going to try it with cooked apples instead of the apple pie filling. Most of those, if not all, have lemon and/or citric acid added, which I’m allergic to both. This would be good in a graham cracker crust & drizzle on some caramel. Dionna, I noticed I had to scroll down through a couple of ADS to get to the recipe. Do it real fast or a pop-up appears and won’t go away. I had to back all the way out of the site and start over, including finding the recipe again. Phew! Thanks for letting me know William, this should not be happening and I’m not sure why it is happening on this post. I will have a look at it. You could make this in a 9×13 pan, I would double the recipe. 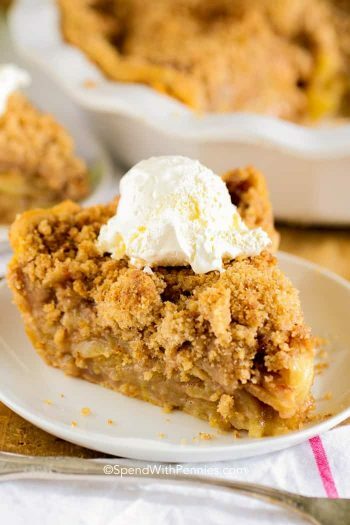 I used no sugar added apple pie filling and it turned out great. Looks really good. I will have to make this soon. 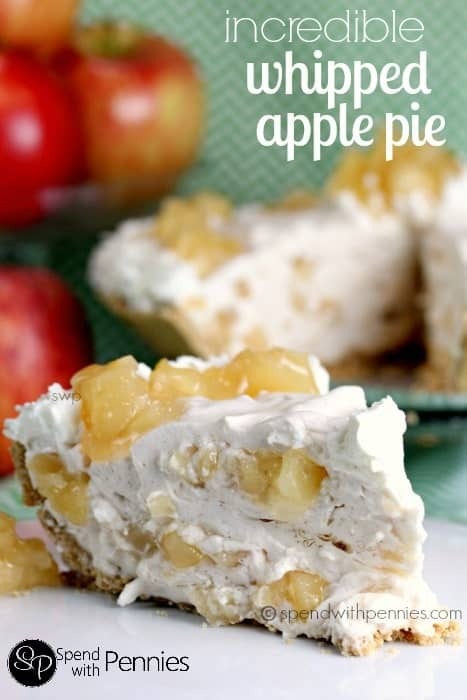 Looks like my grandmother’s Billionaire Pie, only it used pineaaple instead of apple & cream cheese instead of gelatin. Looks really good and different. Good for summer. Why can I not see the recipes? 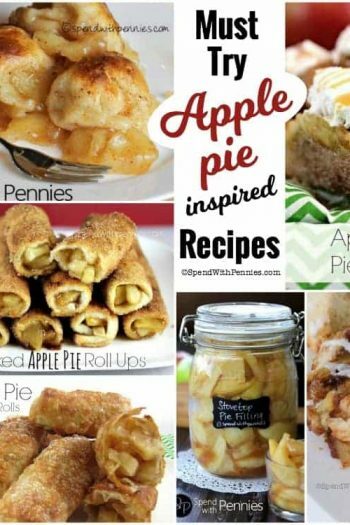 Are you unable to see the text for the recipe below the photos? 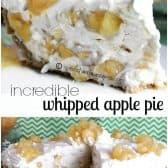 EXACTLY what I was thinking..dump the canned apples and spices in a bowl with cool whip,mix well and dump into a baked pie shell. LOTS quicker.